Bear Stearns, once the nation’s fifth-largest investment bank, had been a fixture on Wall Street since 1923 and had survived the crash of 1929 without laying off any employees. But in 2008, its customers and creditors didn’t much care about its storied history. They were worried that the billions of dollars of mortgage-backed securities on its books weren’t worth what the company claimed. En masse, they stopped doing business with Bear. 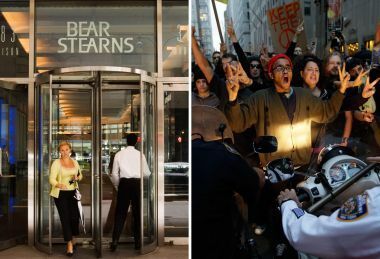 Within a few days, on Monday, March 17, Bear was gone — subsumed into JPMorgan Chase & Co. with the help of the Federal Reserve for a price that was approximately the value of its shiny new Madison Avenue office tower alone. Bear Stearns failed largely because it had spent the previous five years gorging on subprime mortgages in what appeared to be an ever-rising housing market. When home prices started falling and those loans started to go bad, Bear’s creditors got scared and pulled their money out of the investment bank. The demise of the 85-year-old firm was just a harbinger of what was to come. Six months later, Lehman Brothers collapsed under the weight of its own mortgage securities, sending first the financial system, and then the entire global economy, into a tailspin from which it hasn’t yet fully recovered. Five years later, the executives that were in charge of Bear’s headlong dive into the cesspool of subprime mortgage lending hold similar jobs at the most powerful banks on Wall Street: JPMorgan, Goldman Sachs, Bank of America and Deutsche Bank. The fact they were able to emerge unscathed from a financial crisis that wiped out $19.2 trillion of household wealth in the US and as many as 8.8 million jobs has become part of the legacy of the financial meltdown. “The downside is very, very minimal for the people who decide to take risks in these institutions,” said Anat Admati, professor of finance and economics at Stanford Graduate School of Business and co-author of The Bankers’ New Clothes: What’s Wrong With Banking and What to Do About It. “It’s clear that the ones at the top got the most in terms of compensation and suffered few consequences from these decisions,” she added. Four of the executives, Thomas Marano, Jeffrey Verschleiser, Michael Nierenberg and Jeffrey Mayer, have been accused of making false statements in disclosures to federal regulators in a lawsuit brought by the Federal Housing Finance Agency, which oversees government-owned mortgage giants Fannie Mae and Freddie Mac. They are among dozens of people and companies named in the lawsuit. All four denied all the allegations in a 179-page response to the lawsuit. The four “deny that the offering documents referenced contained material misstatements of fact or omissions of material facts,” according to the answer jointly filed by the Bear Stearns companies and the individual defendants from Bear. Two other mortgage division leaders, Mary Haggerty and Baron Silverstein, were not named defendants in the lawsuit. AMBAC Assurance Corp., a company that guaranteed some of Bear’s mortgage bonds and went bankrupt in 2010, accused Bear of fraud in a separate lawsuit that described actions by the six mortgage division leaders. AMBAC emerged from bankruptcy in May. Yet all six continue to work at the top levels of their field, earning salaries and bonuses that have allowed them to live in luxury while the mortgages that made up the bonds they sold have defaulted at alarming rates. “How is it that we could say that we learned something from the last crisis when we still have the same people running our companies for the future?” asked Jordan Thomas, a former attorney for the Securities and Exchange Commission who now runs the whistleblower practice at Labaton Sucharow in New York. Thomas Marano, who led Bear’s mortgage finance division, is perhaps the most telling example. In the past four years he earned more than $29 million as head of Residential Capital, LLC, the mortgage subsidiary of the former General Motors Acceptance Corp. (GMAC), which was bailed out by the government during the financial crisis. ResCap filed for bankruptcy last year. As global head of mortgages, asset-backed securities and commercial mortgage-backed securities at Bear Stearns, he oversaw the underwriting and securitization of subprime loans from Bear’s mortgage subsidiary EMC Mortgage Corp.
His division oversaw the mortgage operation from start to finish. EMC would make or purchase mortgage loans, then pool thousands of them into mortgage backed securities, register them with the SEC and then sell them to investors. The FHFA, along with the State of New York, mortgage insurers, and other federal agencies and investors, said in lawsuits that Bear falsely assured investors and insurers in customer disclosures and SEC filings that the loans were subjected to rigorous underwriting standards. The lawsuits said Marano’s unit was so hungry for new loans to securitize that they let the standards slide and knowingly included bad loans in mortgage pools. Marano personally signed the SEC filings on at least $8.7 billion worth of residential mortgage-backed securities sold to Fannie Mae and Freddie Mac, according to documents included in the FHFA lawsuit. “Defendants falsely represented that the underlying mortgage loans complied with certain underwriting guidelines and standards, including representations that significantly overstated the ability of the borrowers to repay their mortgage loans,” the lawsuit states. Marano, the company and all the other defendants “deny there was an abandonment of reasonable due diligence procedures,” according to court documents. “Individual defendants deny that the securitizations … contained material misstatements of fact or omissions of fact,” the defendants’ response to the FHFA complaint filed in court reads. Marano also directed executives to withhold “every fee” from credit rating agencies that had lowered the ratings on the firm’s mortgages bonds, according to the AMBAC complaint. In the majority of the securities signed by Marano, more than half the loans were delinquent, in default or foreclosed by July 2011, according to figures the FHFA included in its lawsuit. Marano, who has a 4,700-square-foot home in New Jersey and a vacation home in Park City, Utah, declined to comment for this story. He sold the New Jersey house to Old Pike Associates LLC, a limited liability corporation, for $99 in 2002 and the LLC also owns the Utah house. Old Pike’s address is Marano’s home address and the company lists Marano as CEO. Marano is managing member of another LLC, Old Pike Associates II, LLC, which was formed in March 2012. The company bought a $4.2 million dollar home in Tenafly, N.J., in December 2012, according to public records. When Bear went under, “everybody and their brother descended on the place,” looking to hire the best talent, said Chad Dean, managing partner of Integrated Management Resources and a banking recruiter for 11 years. Sen. Carl Levin, D-Mich., who as chairman of the Permanent Subcommittee on Investigations led some of the most thorough inquiries into the causes of the financial crisis, echoed that. “Just because Bear Stearns went out of business doesn’t mean everybody who worked for Bear Stearns was incompetent,” he said. He declined to discuss Marano and his colleagues specifically. “He knew the business inside and out, and he could do every job, up and down the line,” Spector said. “He was one of the best managers Bear Stearns ever had.” Spector said he has no knowledge of the specific accusations against Marano in any lawsuits. One month after Bear’s sale, Marano was scooped up by Cerberus Capital Management, the private equity firm that was a majority shareholder of GMAC. By July, Marano was CEO and chairman of GMAC’s mortgage servicer, ResCap. ResCap was one of the largest originators of home loans and the fifth-largest servicer of residential mortgage loans in the U.S. before it went bankrupt in 2012. The company had long been making huge bets on subprime mortgages. Marano was brought in to clean up the mess. It was a difficult task. When Lehman Brothers went bankrupt in September 2008 and credit markets froze, GMAC was among the companies that needed taxpayer help to survive. The company received a $17.2 billion taxpayer bailout through the Troubled Asset Relief Program (TARP). Today, GMAC, which renamed itself Ally Financial in 2010, is still 74 percent owned by U.S. taxpayers. It is not clear when it will be able to repay the $13.75 billion it still owes the Treasury. Because of the TARP bailout, Ally Financial was able to direct $8.6 billion to ResCap during the years Marano was in charge, according to a report by Christy Romero, the special inspector general for the Troubled Asset Relief Program. Marano’s compensation is known because he was one of the 25 highest paid people at Ally Financial. Under the law, seven companies that received money from the TARP were required to submit their executives’ compensation packages to the U.S. Treasury for approval and to disclose them in SEC filings. Special paymaster Patricia Geoghegan approved Marano’s 2012 $8 million compensation — $6.2 million in salary and $1.8 million in stock options — just weeks before ResCap filed for Chapter 11 bankruptcy on May 14, 2012. “There’s absolutely something wrong with executive compensation that gives extraordinary rewards to executives while at the same time shareholders’ value is diminishing or destroyed,” said Amy Hillman, dean of the W.P. Carey School of Business at Arizona State University. Most of ResCap’s bad loans were made before Marano took over the company. However, in 2010, when he had been at the helm almost two years, the firm was accused of improperly rushing through hundreds of thousands of home foreclosures without the proper paperwork. One employee testified to signing up to 10,000 foreclosure documents a month without personally reviewing the details, making the documents illegitimate. ResCap, Bank of America, JPMorgan Chase, Wells Fargo, and Citigroup settled for $25 billion with the Justice Department over what became known as the “robo-signing” scandal. In May Marano resigned as ResCap’s CEO but remained on its board. He told The Wall Street Journal that he was considering starting a hedge fund, a real-estate investment trust, or another mortgage originator and servicer. Marano was not the only Bear Stearns mortgage executive to land in a similar role in mortgage finance. Jeffrey Verschleiser, who reported directly to Marano as head of asset-backed securities, was hired as managing director at Goldman Sachs in 2008 and then promoted to global head of mortgage trading in March 2012. Andrew Williams, a Goldman Sachs spokesman, declined requests for comment. Verschleiser’s lawyer declined to comment for this story and denied a request to speak to Verschleiser. According to documents filed in the AMBAC lawsuit, Verschleiser encouraged Bear to short the stock of mortgage bond guarantors — essentially betting the price would fall — because he knew they would likely incur losses because of bad loans included in the mortgage pools. “In less than three weeks we made approximately $55 million on just these two trades,” the lawsuit quotes Verschleiser as saying in an email. Verschleiser lives in a $10 million Fifth Avenue apartment in New York City in the same building as Barbara Walters. Former Los Angeles Dodgers owner Frank McCourt recently bought the top floor of the building, with a sprawling Central Park view, for $50 million. Multiple media reports indicate Verschleiser spent upward of $1 million renting out the popular Hotel Jerome in Aspen, Colo., for the weekend of his daughter’s 2012 Bat Mitzvah. Michael Nierenberg’s $6 million estate in Port Washington, New York. Michael Nierenberg and Baron Silverstein live in the tony New York City suburb of Port Washington and work together at Bank of America in the divisions that issue mortgage-backed securities and collateralized debt obligations. Nierenberg led the adjustable rate mortgage and collateralized debt obligation desks at Bear Stearns, which underwrote $36 billion of CDOs in 2006 alone. He’s now head of mortgages and securitized products at Bank of America. 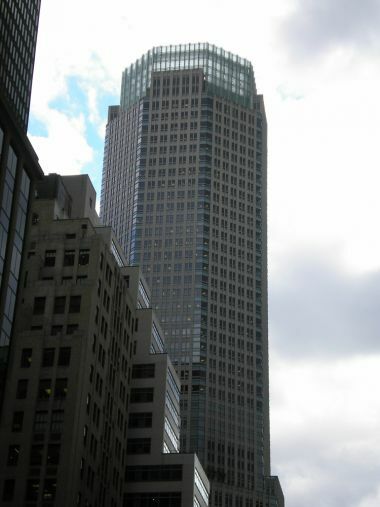 Silverstein, once a senior managing director at Bear and co-head of mortgage finance, stayed at JPMorgan for a time after the acquisition and later moved to Bank of America as managing director in charge of the mortgage finance department. Silverstein lives in a $3.7 million waterfront home with a tennis court and pool, according to Nassau County, New York records. The $6 million Nierenberg estate includes a tennis court, pool, boathouse, Jacuzzi, and boat dock. Public records show Nierenberg also owns a condo in Boca Raton, Fla.
Nierenberg’s lawyer declined to comment. He and Silverstein declined requests for interviews through Zia Ahmed, a Bank of America spokesman. 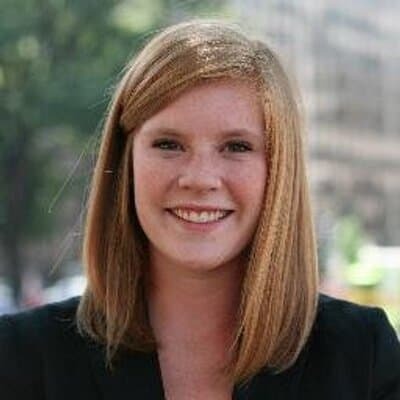 Mary Haggerty was a co-head of mortgage finance at Bear. The FHFA, in its lawsuit, says Haggerty cut back on the due diligence the bank was performing on its mortgage-backed securities. The move was designed “to make us more competitive on bids with larger sub-prime sellers,” according to an email Haggerty sent to John Mongelluzo, vice president of due diligence, that is cited in the lawsuit. 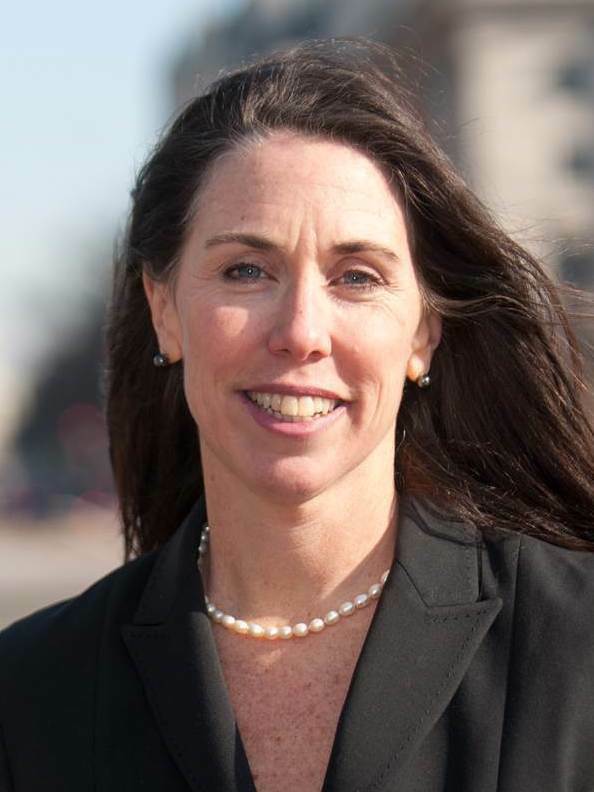 Following the merger, Haggerty was retained by JPMorgan as a managing director in the securitized products group. Haggerty declined a request for an interview through JPMorgan spokesman Mark Kornblau. Kornblau also declined to comment on behalf of the company. Mary Haggerty bought a $950,000 apartment in New York City in 2005, according to the city’s property records. Jeffrey Mayer was co-head of fixed income at Bear Stearns and Marano’s supervisor. His division was responsible for about 45 percent of the bank’s total revenue, mostly from mortgage securitization, according to the January 2011 report of the Financial Crisis Inquiry Commission, a panel created by Congress to investigate the causes of the crisis. Mayer didn’t respond to an email sent to his office requesting an interview. Mayer’s attorney didn’t respond to requests for comment. Renee Calabro, a Deutsche Bank spokeswoman, declined to comment on his current salary. Mayer owns a $3.7 million dollar home is Westport, Conn., according to county property records. After Bear’s demise he was scooped up by Swiss banking giant UBS in 2008 and awarded a nearly identical position. Two years later he jumped to Deutsche Bank, as head of corporate banking and securities in North America. To date there have been few meaningful prosecutions or regulatory actions against any individuals who were in positions of power during the financial crisis. The Justice Department unsuccessfully prosecuted two Bear Stearns hedge fund executives for fraud, saying they lied to investors about the health of the funds. Both were acquitted in 2009, and since then the DOJ has declined to criminally charge any top-level Wall Street executives. The SEC has settled cases with a handful of banks, including Goldman Sachs, for sums that come to only a fraction of the companies’ quarterly profits. And in July, the trial of an SEC lawsuit against Goldman trader Fabrice Tourre began. Tourre was a mid-level Goldman Sachs executive who is accused of securities fraud related to the creation and sale of mortgage bond derivatives. The Financial Industry Regulatory Authority has noted the lawsuits on the broker records of Marano, Mayer, Verschleiser and Nierenberg but none have had their licenses revoked. All four are likely to be covered by Bear Stearns’ directors and officers insurance, so any potential judgment or settlement may be paid for them. Five years later, where are they now?